You can get a Big Fish Drink free (at select outlet) by tweeting your dining experience @FishncoINDO, detailed instructions can be found in all outlets. 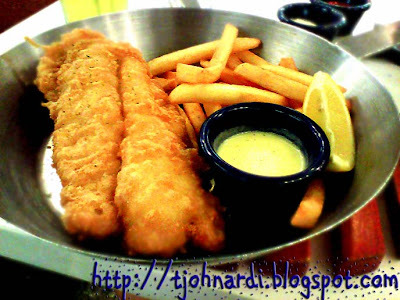 Let's start with the stars first, the fish & chips! 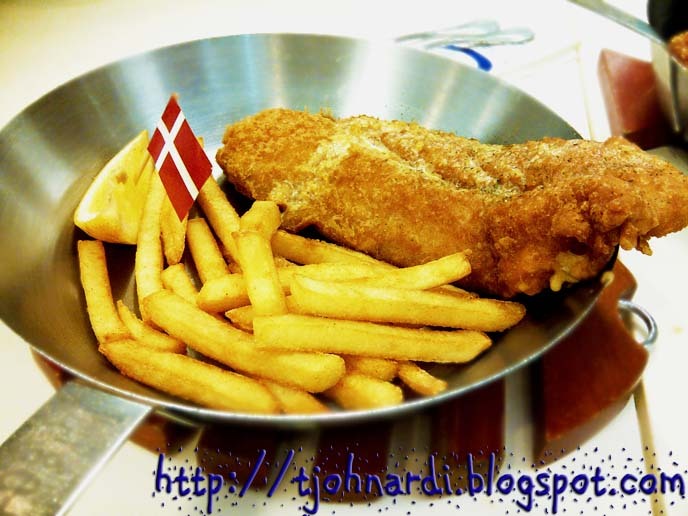 It recently launched several places' versions of fish & chips, like Indonesia, Japan, Denmark, Singapore, etc, but my favourite remains with the cheesy & creamy ones as seen in the photos below: Denmark & New York. 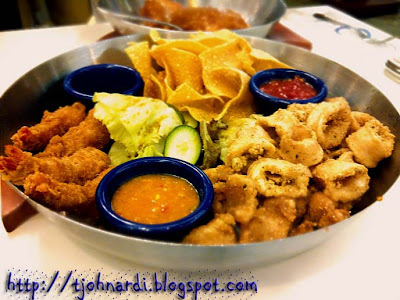 If you're dining with a group of friends, the Starter Platter is good for sharing. For those who can't live without rice, why not try the Chicken Peri-Peri and request the chips to be replaced with rice. 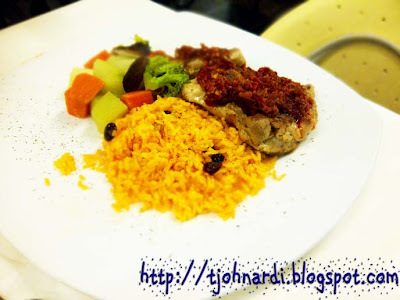 The rice is yellow & garnished with raisins, exotic! The chicken is grilled to perfection (not overcooked) and the sambal on top gives a challenging kick for chilli-lovers.